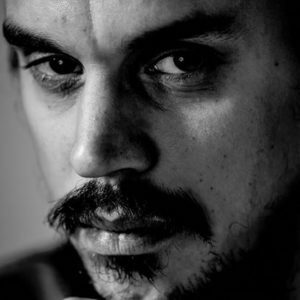 Having delivered one of the best synth based debut albums in recent years, musician and producer Andreas Kleerup is back with two new mini albums, the first of which is entitled ‘As If We Never Won’; the second set to be released sometime in 2015 while a full length album is to follow afterwards. Seven years between albums is a long time even by today’s standards but Kleerup has been busy with his own, more conventionally focussed band ME & MY ARMY who released their debut album ‘Thank God For Sending Me Demons’ in 2011, the soundtrack for the Stockholm Stadsteatern’s production of the Swedish opera ‘Aniara’ and incidental music for Eurovision 2013. Any new KLEERUP recording now lives with a high degree of expectation following the stupendous 2008 self-titled debut that included noteworthy singers like ROBYN, LYKKE LI, MARIT BERGMAN, NENEH CHEERY and Cherry’s sister TITIYO in its full expanded edition. The EP’s launch single ‘Let Me In’, featuring Susanne Sundfør who sang on M83′s ‘Oblivion’ and RÖYKSOPP’s cover of DEPECHE MODE’s ‘Ice Machine’, moves away from the dreamy synth melancholy of the ‘Kleerup’ debut and delivers a more organic template, sounding like KARIN PARK if she had joined ROXY MUSIC to record ‘The Space Between’ from ‘Avalon’. It is a superb calling card, showing progression but retaining the original appeal of KLEERUP’s debut. ‘Let Me In’ is brilliantly classic and yet still very contemporary. Opening proceedings though is ‘Sad Boys’, a beefier version of the more tranquil ‘Northern Lights’ issued last year as interval music for Eurovision 2013. A vibrant but emotive instrumental in the vein of ‘Hero’ from the ‘Kleerup’ debut, live drums give some syncopated punch which appears to be the main change in the KLEERUP sound after the distorted machine beats of its predecessor. ‘Nothing Left To Die For’ sees Jenny Wilson, formally of FIRST FLOOR POWER, in a deliciously melancholic disco romp with her haunting vocals accompanied by some pretty synth tones. Despite the sadness, like with ‘Sad Boys’, there is a wonderful groove that reveals Andreas Kleerup’s roots as a drummer. Meanwhile, the pace mellows for ‘Rock U’ featuring Malin Dahlstrom of NIKI & THE DOVE. The witchy growl that featured on ‘DJ, Ease My Mind’ and ‘Mother Protect’ is omnipresent in this more guitar focussed rock ballad that sounds like a Nordic CYNDI LAUPER, not entirely surprising as Kleerup produced her song ‘Lay Me Down’ for her great comeback album ‘Bring Ya To The Brink’ and which eventually morphed into ‘Thank You For Nothing’ on the ‘Kleerup’ album. The pace slows even further with the ‘As If We Never Won’ title track, a stark but epic ballad with Kleerup himself moodily duetting with Maja Ivarsson from THE SOUNDS. It takes a while to get going but evolves into something more satisfying with each listen. And in a nod to his ME & MY ARMY project, the EP finishes with ‘Thank God For Sending Demons’ in a raw, stripped down version of the original. Coming over a bit like JOHNNY CASH if he had been born near the Arctic Circle and with just an acoustic guitar for company, it is however the least essential number of this short set and can only be really be considered as a charming, if slightly incongruous filler. 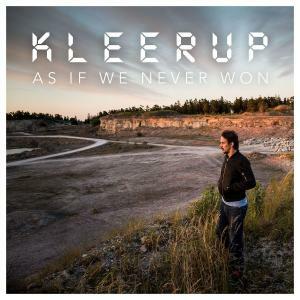 Overall as a taster for the next KLEERUP album proper, ‘As If We Never Won’ contains a number of fine songs and is a welcome pop return for one of the best electronic music producers in Europe.